Samsung may have opted to highlight only a few of their best features with the newest flagship device, the Galaxy S5, but that doesn’t mean that there aren’t tons of other useful functions that one might stumble onto that Samsung is proud of. Admittedly, there are actually a bunch of great little features that Galaxy S5 owners might find useful or just downright awesome. We’ll go through ten of some really cool features that Samsung didn’t really advertise but they’re definitely worth mentioning to users. First up is the Kids mode feature. This has infinite useful capabilities to the parent who loves to share their tech with their kids. No longer will you have to worry if they’re getting into things they shouldn’t be. This is especially great if you want to limit them to certain apps and games. Priority senders is another really cool feature that we found to be handy. It’s kind of like favorites in the stock android people app, but it takes things a bit further by adding in some extra functionality. You can basically prioritize your top 25 people that you tend to contact the most, and make it so they appear at the top of your messaging list when going in to send a text, thus eliminating the need to scroll through your contacts. It also lets you see recent interaction you’ve had with any of the people that are designated as a priority contact when you call them and see their recent G+ posts. Definitely one of the cooler features that many people might not know about is the ability to use a regular pencil as a stylus with your galaxy S5. It’s an option called increase touch settings, and can be found inside display settings if you want to toggle it on or off. One of the best things about smartphones now a days is the vast capabilities with music. With the Galaxy S5, you can have the phone pop up a list of similar songs to what your listening to in the music player just by tilting the phone a little while it’s in landscape mode. If you don’t really listen to music on the device but you do shoot a lot of pictures, than you might find the virtual tour with snapped photos useful, and it’s always nice to have quick access to the camera to take pictures in the first place, which you can set up by simply adding a camera button option to the lock screen. That one in particular is nothing really new, as plenty of Android phones already have that, but it’s cool nonetheless and a useful feature to have for on the fly moments. We know that other people picking up your phone and choosing to browse through it or play with it will sometimes be inevitable, which is why Private Mode is one of the better functions on the Galaxy S5. You can choose to designate media like videos or photos, as well as documents from prying eyes, and anyone who you just don’t want looking through your stuff. One of my personal favorites is the call pop up feature, which basically allows for the call notifications to come on the screen in a pop up window over whatever you’re already doing. This is great for someone like me who always plays games on their device, as I can continue playing without having to dismiss the call or close the game out first. The last feature, called toolbox, basically allows you to choose your favorite apps and place them inside the toolbox so that you can access them quickly from a floating menu, that can be opened from anywhere no matter what you’re doing. We hope the Galaxy S5 owners found this useful and enjoy some of the features as much as we did. 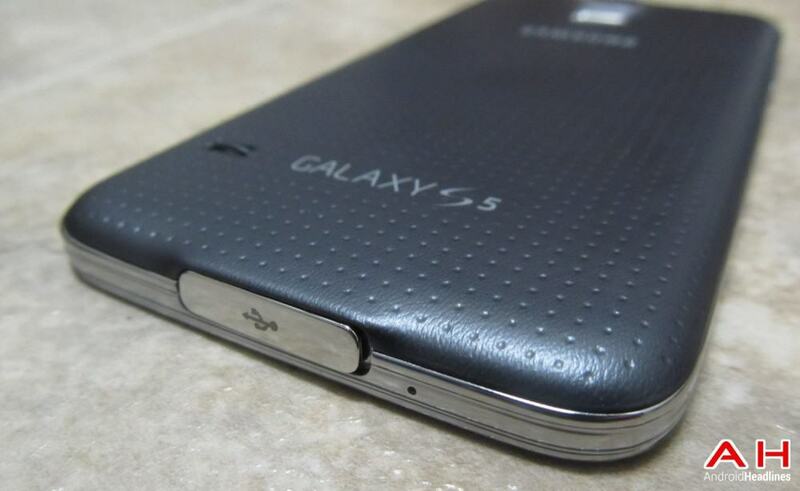 The post These Unadvertised Galaxy S5 Features Will Make The Phone That Much More Enjoyable appeared first on AndroidHeadlines.com |.